It's also important to note as you begin, that Smart Rules are available in Word and PowerPoint, and work with Smart Fields. If you're not familiar with Smart Fields, please read this first. Smart Rules ensure that documents and presentations contain the right messaging for the right audience. In PowerPoint, Smart Rules can be applied to one slide at a time, and in Word, Smart Rules can be applied to content selected within the body of the document. Smart Rules are especially useful in templates, but can also be included in document content that can be inserted directly into emails, documents and presentations. How Smart Rules work is that you'd first start by specifying at least one condition. If the condition evaluates to TRUE, then the content wrapped within the rule IS included in the created document or presentation. If the condition evaluates to FALSE, then the content wrapped within the rule IS NOT included in the created document or presentation. Conditions rely on the information provided by users in Smart Fields forms, and therefore work very closely with Smart Fields. As you work with Smart Rules, you'll need to ensure that the right Smart Fields have been defined, so that users have the opportunity to provide the information the Smart Rule requires in order to determine whether content should or should not be included. Date and Number Smart Fields are not available in Smart Rules yet, but we plan to make these field types available for use in Smart Rules in a future release. 1. Immediately after 'Where', we need to specify which Smart Field will be evaluated. This is a drop down menu, allowing you to select from your existing set of either Text or Choice (Single Select, Multi Select, Yes No) Smart Fields. If you come here and you find that there's a Smart Field missing, you can close this window, create the Smart Field you need, and then return to the 'Rules' pane to define your new Smart Rule. 3. Then finally, type a value for the rule to evaluate against. It's also possible to have a Smart Rule that evaluates more than one condition at a time. To add another condition click on 'Add Expression', and define that condition as explained above. It's worth noting that Smart Fields do not have to be inserted (in lieu of placeholder text) into your document for them to be used in a Smart Rule. For instance, let's say there's a proactive proposal template that has been designed to cater for both new and existing clients. Without Qorus, a sales person using that proposal template, would need to manually strip out the parts that are not relevant to the sales situation. So if the proposal is for a new client, then the sales person would need to manually find and delete all the content that is applicable to existing clients, so that only the content relevant to new clients is included in the final proposal. 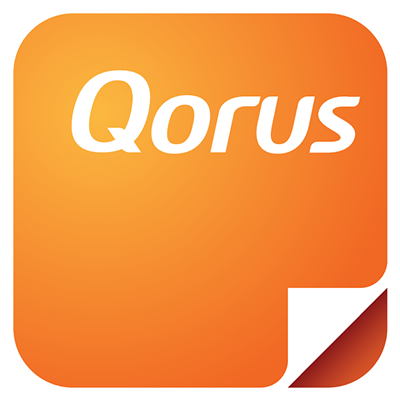 With Qorus, a sales person wouldn't need to manually strip out anything, provided the template contains Smart Fields and Rules. Instead, when they click on the 'create' button for that template using any of the Qorus Add-ins, they would fill in a Smart Fields form. The Smart Fields could have a question in it: 'New or existing client?'. If the sales person types in the word 'new', then the Smart Rules in the document have all the information they need to be able to automatically include only content relevant to new clients in the created document. If you're working in PowerPoint, then select the slide you'd like to apply the Smart Rule too, then insert it using the Design panel in the Qorus Slide Builder Add-in for PowerPoint. To test your Smart Rules and make sure that everything is working as it should, you can click on 'Create This Document'. In the Smart Fields form that pops up next, you can fill in any test values you need and simulate the creation of a new doc, which takes into account all your Smart Fields and Rules. If you find something is not quite right, click on the gear icon to the right of the Smart Rule, and edit it and make changes as required.